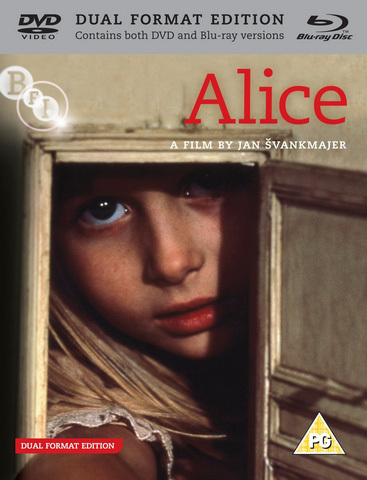 Synopsis: A memorably bizarre screen version of Lewis Carroll's novel "Alice's Adventures in Wonderland", mixing one live actor (Alice) with a large variety of stop-motion animated creatures, ranging from the complex (the White Rabbit) to the incredibly simple (the Caterpillar, consisting of a sock, a couple of glass eyes and a pair of false teeth). The original story is followed reasonably faithfully, though those familiar with this director's other films won't be the least bit surprised by the numerous digressions into Svankmajer territory, living slabs of meat and all. As the opening narration says, it's a film made for children... perhaps?